Find My Workspace lists over 95% of the serviced offices & coworking space market in Tsim Sha Tsui. Simply click Request Quote to check pricing for one office, or Add to Basket for multiple offices. This business center is perfect for any business looking to locate in a central location, one that is close to many services including banks, restaurants, cafes and bars. These serviced offices are of the highest quality and offer furnished settings as well as meeting rooms, lounge areas and a pantry. A reception area provides a welcome to you or any of your clients while a security system keeps everything safe so you can rest easy. With it’s contemporary design and feel, high quality fit-out and stunning views over Kowloon Park, this centre is an excellent option for your serviced office, co-working, virtual office or meeting. A business address solidifies your local presence and provides an extra layer of trust for clients while also opening up new avenues for expansion into the market in the future. Take advantage of the amenities made available to you as a tenant, including; 24-hour access, a manned reception area, a communal kitchen area, spacious meeting rooms and an on-site management team to help you with all the things you need. These offices come fully-furnished and with all-inclusive pricing on super flexible terms, there’s nothing to stop you from taking a space in this centre and jumping straight into work. 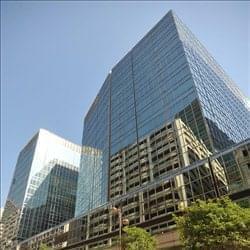 This business center offers flexible lease terms on their fully-furnished modern one-person to four-person offices. They include complementary direct phone line, wireless high-speed Internet access, newspapers and magazines, coffee and tea and 24/7 access. 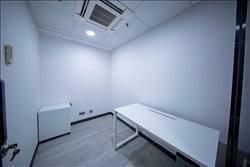 Also on offer is a meeting room, printer, fax machine, IDD, etc. at a competitive price. Unlike other serviced offices, they have developed an on-site professional team to handle your requests, including general business information, secretarial supports, accounting, legal and tax enquiries if needed. The centre aim at offering one-stop office and business services to startups in Hong Kong. With us, you can concentrate on your businesses and we take care your office and business administrations. 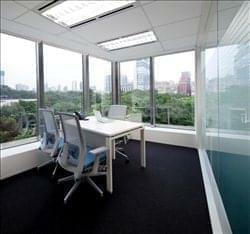 This business centre offers a creative and relaxed working space in the central hub of Tsim Sha Tsui, Hong Kong. 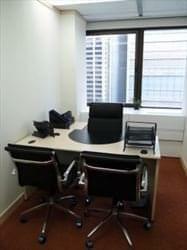 The offices come fully furnished with modern and ergonomically designed facilities. Most of our rooms are located along large windows that offer panoramic views over Kowloon Park. It’s a great distraction to have a time out from work and gives your eyes a satisfying break. The large windows also allow maximum natural sunlight to beam through to ensure your environment is bright and energized. The centre provide 24 hour access, 24 hour security, CCTV, meeting room, administrative support and parking as well. This centre is located in a district with world-renowned fashion outlets and many luxury brands. Most offices enjoy panoramic harbour views and/or city views plus a full set of advanced office furniture and equipment. A range of business support services is also available. This centre provides spacious offices with rare green views in a core business district, high-quality meeting rooms, nice communal areas and superb office facilities. Neo Suites with separate manager’s room and staff area, which enable our clients to achieve higher returns by increasing productivity, are now available. Neo Suites offer more commodious workspaces, equipment directly in the suite and a higher level of service. The centre provides 24 hour access, 24 hour security, WIFI, CCTV, air conditioning, IT support, shared internet, reception services and telephone answering for your daily office uses. This prime commercial space comprises offices, retail shops, serviced apartments, Marco Polo hotel and fitness and recreation club, and approximately 2,000 car parking spaces. With its 700 shops including 50 restaurants and two cinemas, Harbour City is home to Hong Kong’s largest shopping, dining and entertainment centre. The Harbour city centre offers a perfect solution for local and overseas companies looking for flexible and fully-equipped offices with comprehensive services at a reasonable price. The centre offers the finest Serviced offices that are fully furnished with all necessary facilities and backed by the best technology infrastructure needed for your business. You can enjoy high speed Internet connectivity, modern interior fit-outs, beautiful city view and facilities offered by professionally skilled support staff. 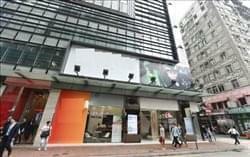 This centre is located in the best corporate location that Hong Kong has to offer. When it is a matter of business credibility, we can offer the best for you. The centre also provide flexible lease options to fit your needs. The centre provide 24 hour access and 24 hour security as well. 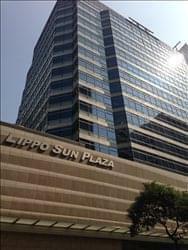 This is a 20-storey office building with 7 newly decorated office units immediately available. This modern new space offers flexible solutions from serviced offices to co-working spaces across five floors incorporating professional administrative support, mail and pone call handling and a company secretary service to assist small companies and individuals to focus on growing businesses. A casual and comfy common floor with two balconies that allows members to connect and collaborate is also available while the centre also provides a large multi-purpose event space that accommodate more than 50 people. This space in TST is a newly opened business centre. The interior is modern and light, with a well-equipped kitchen. The centre treats customers as its assets. Here, if you are a tenant, you will enjoy a brand new facility with the latest technology. You will also enjoy the privilege to explore the business opportunity to interact with the rest of the customers. The space holds regular events and seminars for the tenants in the seminar room. These provide exposure and essential knowledge to the tenants. For your convenience, there is telephone answering, conference facilities and an ATM. This fantastic serviced office space offers an easy, cost effective flexible solution to running your own business in Hong Kong. The center provides each workstation with a workable desk and an ergonomic chair for your comfort as well as a filing cabinet for storage and a separate direct line to conduct your calls. The space is accessible 24 hours a day and offers an individual internet port with free WiFi throughout. The price includes a cleaning service to make sure that you are able to work everyday in a fresh environment and tenants get an elite office stationary pack upon arrival. 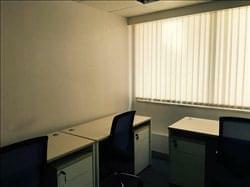 A modern centre that has been offering fully furnished offices since 1986. Providing IT support, secretarial support, work visas and company formation. Offering a high standard of flexible and cost-effective offices with a friendly, service-minded team, reception area, meeting rooms and 24-hour access. 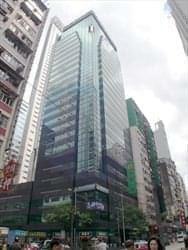 This Business Centre is on the 10th floor and is located in bustling Tsim Sha Tsui at the heart of the commercial and entertainment hub of the Kowloon Peninsula. 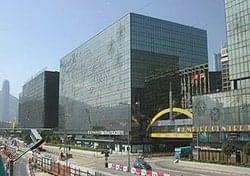 The Miramar Shopping Centre, situated on the first six levels of the tower, is one of the largest malls on Nathan Road. It has a seven-level annexed podium and features many up scale lifestyle brand labels, speciality shops and restaurants such as Agnes b, Anna Sui, East Ocean Seafood Restaurant, Fu Ho Restaurant, and Pacific Coffee. Other amenities nearby include The Mira Hong Kong hotel, Kowloon Park and Kowloon Park Sports Centre. 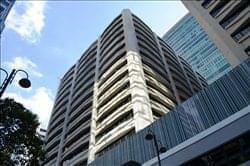 This building offers premium Serviced Office and Virtual Office support in Tsim Sha Tsui CBD. Located at the heart of Kowloon, this centre is set to create a new benchmark in design, style and quality. Highest technical competencies have been incorporated into the building design with stunning panoramic views of Victoria Harbour to enable clients to enjoy the greatest benefits from their work environment. This centre is a dining, shopping and commercial hubs. The complex contains some of the best restaurants in town including Aqua and Hutong. Luxury brands like Cartier, Christian Dior, Miu Miu, Ermenegildo Zegna are also the neighbouring tenants. To obtain information for your selected Tsim Sha Tsui Serviced Offices & Coworking Space, please tick the "Add to basket" box for each office you prefer and complete the form below. We will then send a detailed report via email.